When you think of Social Media influencers, what comes into your mind? Highly-followed social media stars, with millions of followers? A social media celebrity? Or someone who is relatable and approachable with a smaller fan clan? If it’s the latter, they are likely micro-influencers. They are ordinary people with regular social media accounts, who love to share their passion, in doing so they have an incredible endorsement power that accelerates the process of building brand trust among consumers. Their goal is to become full-time content creators. A majority of this tribe post content on their accounts daily, they are consistent in their uploads and persistent in their work, which shows that they are committed to what they do. It’s not necessarily the number of followers as much as how engaged their audience is. 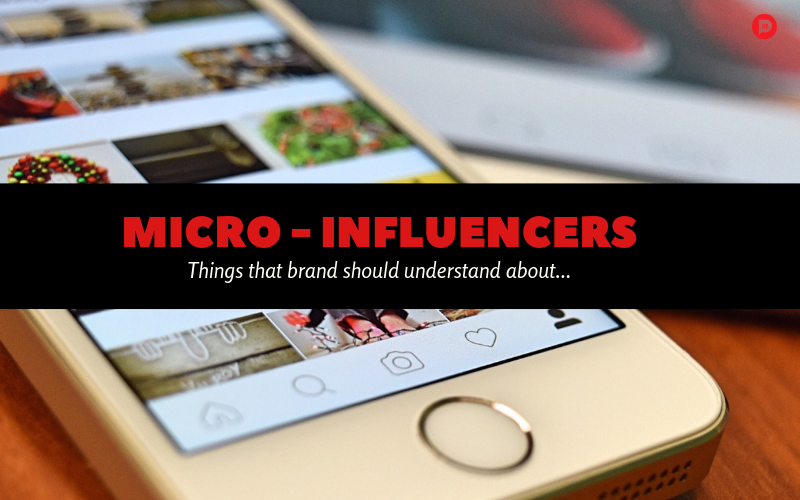 Micro-influencers have specific niche audiences and are deeply rooted and connected with their fan clan. It is rightly said and considered that the macro-influencers are very uncanny about whom they work with because of the reputation with the brand. Likewise, the micro-influencers are equally concerned about whom they work with and with what set of brands. Authenticity and Compatibility are important factors for them, to be a brand advocate. They are at stake, as they are growing and building their brands, they need to focus on the value and relevance of the brand. Once you have picked up the influencer for your campaign, take some time out and consult them with the type of content that resonate their fan clan before you launch the campaign. And then at the end of the campaign, you can ask them about the feedback/reviews and a few lessons that might help you with the next one! Micro-influencers are highly flexible and vulnerable than macro-influencers. They appreciate building a relationship and partnership with the brand, and not merely as a transaction. Think of ideas which have high value offering to them other than money, like giving away VIP passes of a launch event, charismatic brand experience, presenting them with best of gifts or giving them an award, mainly appreciating their presence and building relationship with them. Instagram is user-friendly, gives brands a broader exposure and an excellent platform for marketers to reach their target audience. Although the user base is isn’t large as that of Facebook, but it is much more engaged. Instagram is like a gold rush for influencers, with that rush comes the need for the right influencer and vet new talent while needing to manage multiple brand campaign and a fan clan. Keep in mind though, if you’re targeting Instagram as your platform of choice, simply searching for the best ones won’t do. Some platforms are better than the others when it comes to finding the stars who shine brightest are on Instagram. 5. Popularity and Influence are different. Earlier larger the number of followers, the more influential you were considered to be. Brands fall into a trap of thinking that the only thing matters is the number of visitors they attract, which is not necessarily the case. Things have changed now. Brands have realized that Popularity and influence have a thin line and are independent of each other. You could easily have more popularity on your page than your competitors, but your competitor could be more influential. You have no real opportunity to build influence with one time visitors, with regular visitors you are able to cultivate a truly solid relationship. Over a period of time, these visitors become invested in your brand and truly care about what you have to say. Micro-Influencers are accessible to brands and business of all shape and sizes. When a brand doesn’t have a budget to work with top celebrities, it can still get the benefit of working with micro-influencers and watch their brand grow and succeed.